Home » Phentermine » How Does It Work? Phentermine was approved by the FDA in 1959. Since then it has helped millions lose weight. To this day it remains one of the most prescribed weight loss solutions in the US. If you are curious about just how phentermine works then read on to become more informed about phentermine and understand how it helps you lose weight. Even though people believe phentermine to be some kind of miracle drug, that doesn’t mean it is. You still need to follow a balanced diet. Phentermine can’t do all the work for you and there is still some hard work involved. Phentermine makes it a little easier though. It does this by reducing your appetite and boosting your energy. This helps you eat healthier and begin exercising to create a healthy lifestyle. Here is a closer look at how phentermine works and helps you lose weight by lowering your appetite and raising your energy levels. Taking phentermine stimulates your adrenal glands and causes the same kind of flight-or-fight response you have when you feel danger or do something exciting. This also causes a release of norepinephrine, serotonin and dopamine, three neurotransmitters that make your body feel sated and full. This lowers your hunger levels and prevents cravings. The effect will be different for everyone but most people feel their hunger is reduced to some degree on phentermine. People on phentermine also report it taking less food for them to feel full. How does This Help Weight Loss? Some people will find this control over their appetite is one of the keys to losing weight. 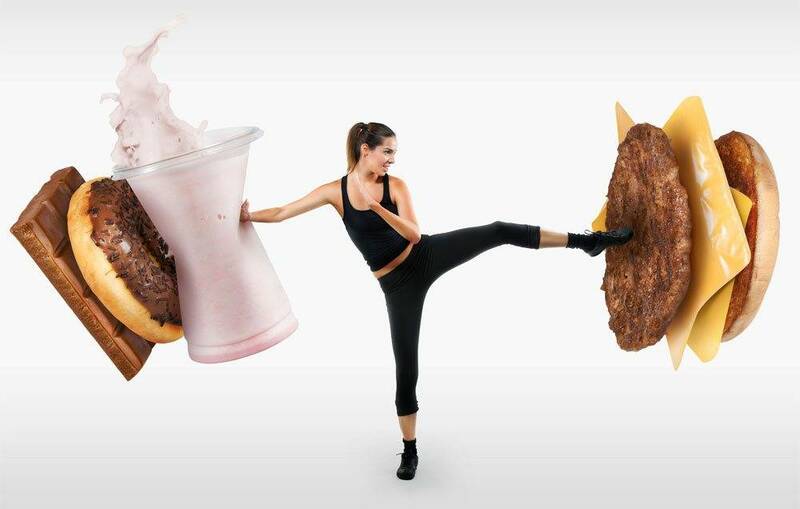 When people fail to lose weight through diet and exercise a major problem is their appetite. They have trouble feeling full and fighting cravings because of potential food addictions or emotional issues. While we can’t answer the question of if these problems are caused by genes, psychological problems, or eating badly, we do know that phentermine helps tackle obesity by giving people back control of their eating by manipulating these neurotransmitters. For some people it may end up being the first time they have such a level of control. You will still feel some hunger even with a reduced appetite, but the hunger is quickly taken care of without eating a lot of food. The minimum amount of calories that a person needs is agreed to be about 1,200. When you factor in the weight of a patient and how much weight they need to lose you can increase this though. So you need to consult with your phentermine doctor to decide the right diet for your weight loss. You should also add nutritious foods to your diet. Foods that are high in fiber, protein and healthy fats do great work at keeping hunger at pay. Phentermine also helps you change your eating habits in the first place. When your appetite is reduced you are better able to avoid cravings and getting mixed messages from your stomach. Phentermine helps you eat the foods you need to eat to have the nutrients and vitamins your body needs to lose weight. The previously mentioned fight-or-flight response that phentermine triggers also cause adrenaline to be released. Adrenaline is there to help in physically trying times. When adrenaline is released like this it increases the amount of glucose in the body, which means that food is broken down in to energy at a rapider pace. All of this causes more blood to reach the muscles and more energy to enter the lungs. This is a response to danger that helps you either fight harder or run faster. When phentermine causes this reaction there is no danger to fight or run from. As a result the body needs to get rid of the extra energy by being more active and doing something physical. Phentermine is quite similar to amphetamine, meaning that the pill also helps you focus on losing weight and avoid snacking. It improves your concertation and makes you more alert. As a result it’s also recommended that you take phentermine first thing in the morning to prevent insomnia caused by all this extra energy and alertness. Many first time users of phentermine report feeling buzzed. They get the boost needed to stay focused on losing weight and being more active throughout the day. When your body gets used to it you’ll notice the effect is less powerful though. This extra boost in energy can also help you avoid the afternoon cravings everyone feels at some point a few hours after lunch. What Kind of Weight Loss can I Expect with Phentermine? With Phentermine, you can expect two pound a week weight loss. It’s really difficult to guess how much weight you could lose by taking phentermine. Everyone is different and these differences, such as age, weight, activity, and diet, also creates a difference in weight loss. If you stay hydrated and active then you can see a lot of initial success as your body burns away the water weight. The weight loss will slow down after a few week. Don’t worry this is a good thing though. To lose weight at a healthy rate it’s recommended that you don’t lose more than two pounds a week. That way you can be sure that the body is losing weight and not muscle. The body needs muscle in order to burn weight. You can maintain this two pound a week weight loss even after you come off of the phentermine. It’s important to remember that you will have to come off of phentermine. It’s typically prescribed for just 12 weeks at a time and is considered a way to manage obesity in the short term. It can have some side effects on the body, including putting too much pressure on the heart. It also has other effects outside of lowering your appetite and increasing your energy levels. As such it shouldn’t be taken for too long. The list of side effects associated with phentermine include dry mouth, mood swings, and insomnia. There is plenty of information online about how to avoid these side effects and combat them. You should notice these side effects lessening over time but you should always consult with your doctor if you suffer from bad side effects. The more your body gets used to phentermine the less effective it becomes, which is another reason that you can’t take it in the long term. Updated: Oct 7, 2017 by Sarah Gonzales. Bookmark the permalink.